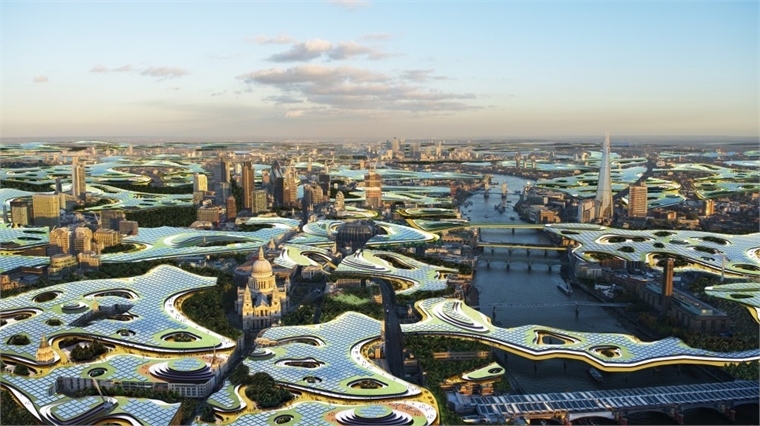 California-based architect Clive Wilkinson has designed a shared office space that may one day hover over London. Called Endless Workplace, the conceptual scheme proposes a solution to the excessive time workers spend on their daily commutes. 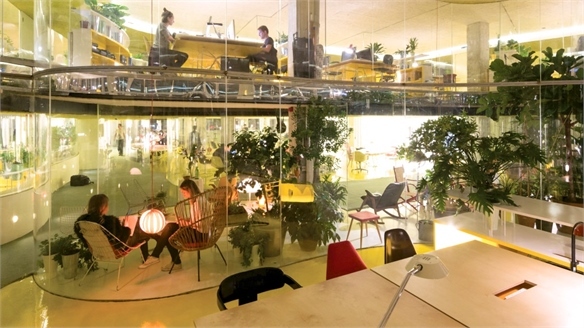 Wilkinson sees a single, horizontally connected working environment suspended above existing city infrastructure, free from cubicles and including small parks. 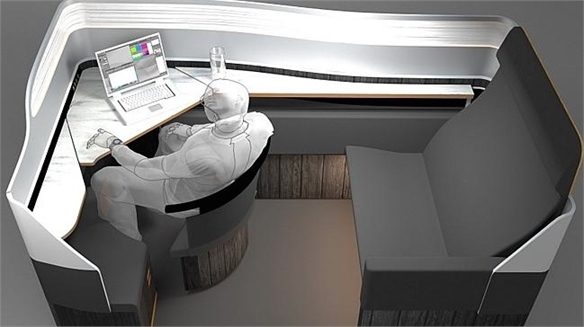 Supporting the needs of an expanding workforce of digital nomads, the proposition envisions a mobile working style where anyone can work anywhere by simply heading upstairs to the office space. Along with eliminating commuting time and reducing carbon emissions from cars, the concept looks to overcome the isolation of working at home alone. "You are essentially in an endless co-working space, and will develop relationships with co-workers from different disciplines – ideally forming village-like communities," Wilkinson told design website Dezeen. The number of co-working spaces continues to rise, reflecting an increasing desire to work in collaborative environments. In the past year, the number of co-working spaces has grown by 36% to nearly 8,000 worldwide (Deskmag, 2015). 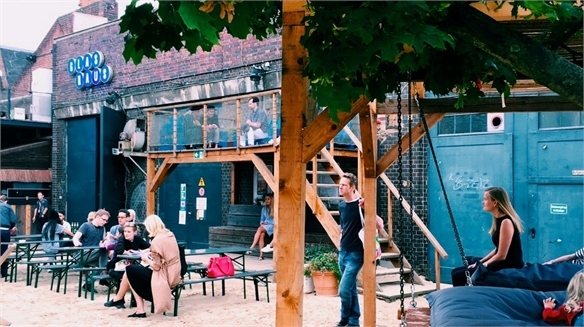 Millennials (aged between 22 and 35) are particularly drawn to spaces that blur the boundaries between life and work, and offer opportunities for immersive communal living, serendipitous interaction and skills exchange – see New Collectives for more. For strategies on how to evolve the workplace to help create a better work-life balance, see Working Smarter. 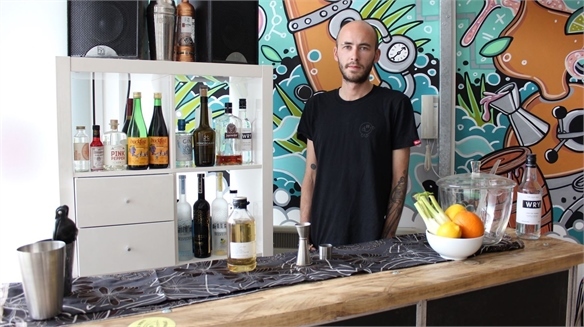 Co-Working for Creative Bartenders Co-Working for Creative Bartenders A new ‘alcohol ideation’ space has opened in East London this month that’s aimed at the bartending and drinks development community. 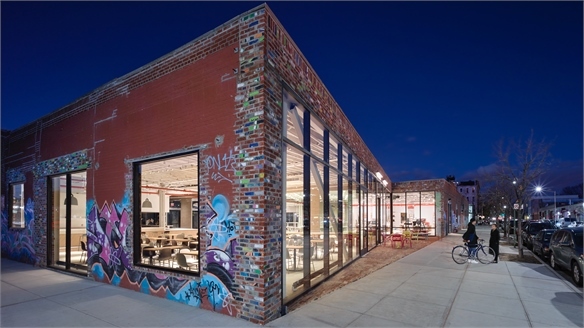 Preview: Design Incubator A/D/O NYC Preview: Design Incubator A/D/O NYC Initiated by British automaker Mini and designed by US architecture firm Narchitects, A/D/O is a new hybrid co-working space in Greenpoint, Brooklyn with a focus on collaborative design and debate. Synthetic Communities Synthetic Communities A new world order is flowing into view. 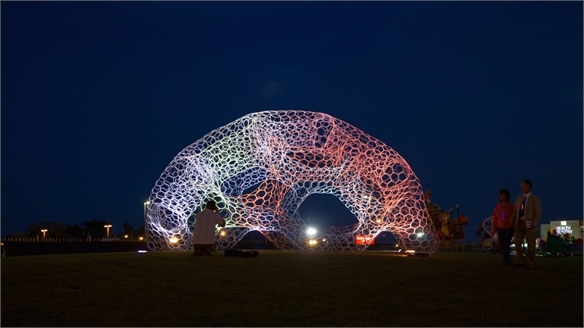 Barrier-breaking technologies are paving the way for synthetic communities that heighten connections and curve around our increasingly liquid lives, creating fully flexible future cities that meet the expectations of tomorrow's changemakers. Stylus Partners With Foresight & Trends 2016 Stylus and Foresight & Trends 2016 Stylus has partnered with Foresight & Trends 2016 (September 27-29) – a three-day conference held in Miami Beach, Florida, that promises to help businesses adapt to change by uncovering key trends across the shifting consumer landscape. Starcity: Communal Housing for All Starcity: Communal Housing for All San Francisco-based start-up Starcity is building communal housing in the city’s unused residential space to accommodate people struggling to afford a place to live. 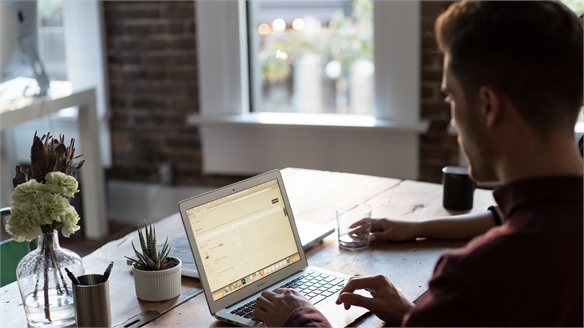 The New Work Week The New Work Week The annual American Time Use Survey (ATUS) from the US Bureau of Labour Statistics has found the traditional nine-to-five work week is changing form, with increasing numbers of employees working from home. Work Reimagined Work Reimagined The workplace is changing dramatically, as employee attitudes shift and new tech ramps up efficiency. We outline the emerging products and services redefining how people work and identify opportunities for innovation – from noise-sensitive offices and hologram meetings, to virtual personal assistants and desk deliveries by drone. 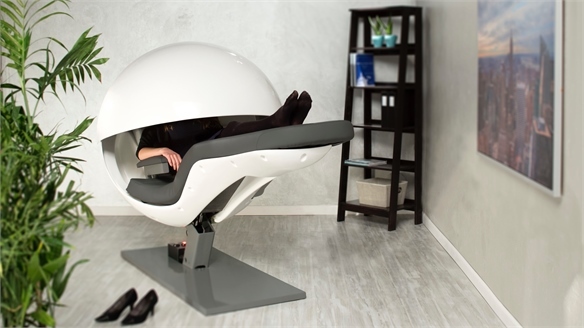 Relaxation Audio Boosts Office Nap-Pods Audio Boosts Office Nap-Pods App maker Pzizz has collaborated with MetroNaps to install relaxation tracks in the US tech company's EnergyPod sleep chairs this month, in a bid to improve sleep quality and enhance office napping. 3M Tops Millennial Workplace Survey 3M Tops Millennial Workplace Survey In June 2016, the National Society of High School Scholars released its annual survey on the career preferences of 13,000 students and young professionals. The list of preferred potential workplaces was topped by US multinational 3M, followed by Google, St. Jude Children's Research Hospital, and the Walt Disney Company. 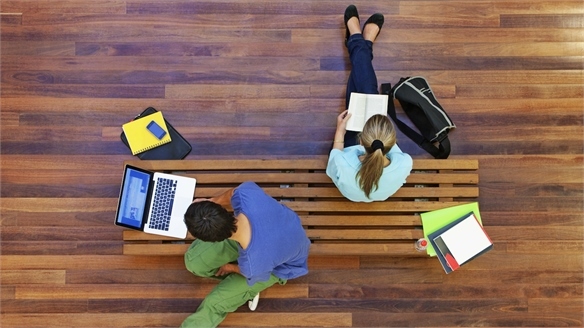 How brands deal with millennials entering the workforce is currently a buzzing topic. 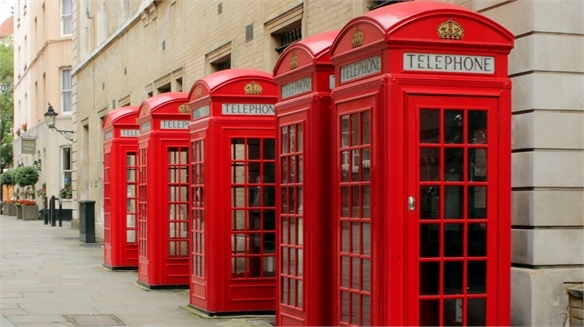 Phone Booths Become Micro-Offices Phone Booths Become Micro-Offices Phone booths across London, Leeds and Edinburgh will be transformed into micro-offices from summer 2016. 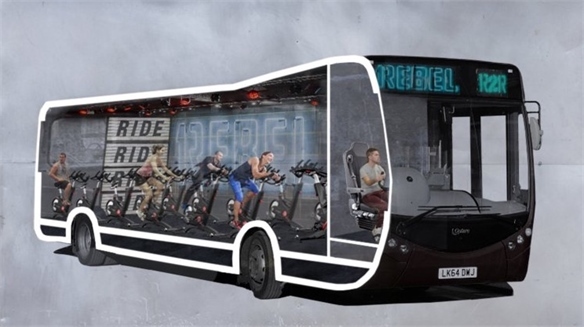 1Rebel’s Bus Gym: Commuter Workout 1Rebel’s Bus Gym: Commuter Workout London fitness brand 1Rebel has announced plans for a bus gym. 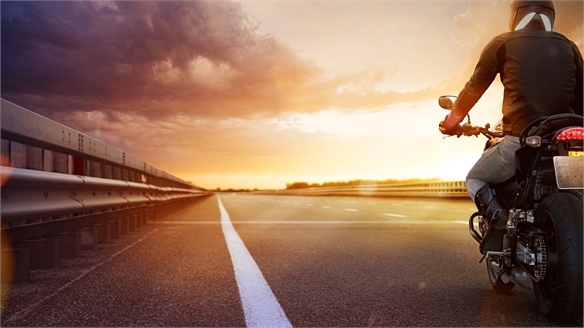 UberMoto: Bike Taxis on Demand UberMoto: Bike Taxis on Demand International ride-sharing app Uber is trialling a motorcycle taxi service in Bangkok, Thailand. 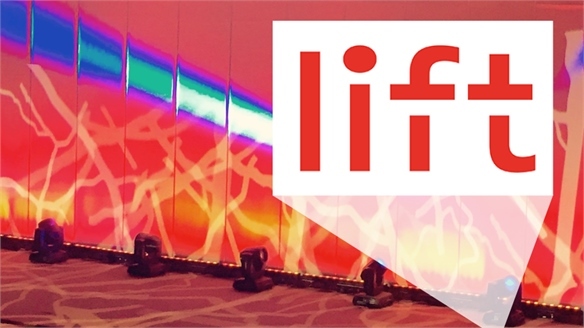 Digital Life Pulse: Lift 2016 Digital Life Pulse: Lift 2016 Near-human artificial intelligence, lifelike virtual reality and new applications of blockchain tech will radically reshape the way consumers work, play and buy. Innovators at this month's Lift Conference in Geneva explored how. 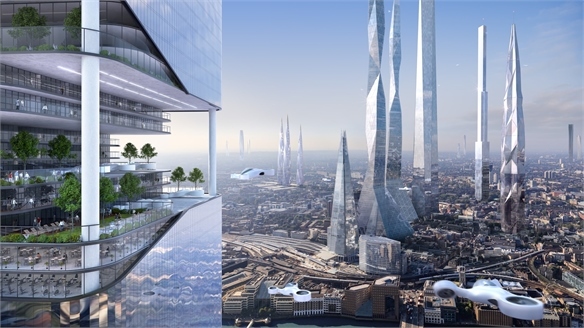 Samsung: Future Living Samsung: Future Living We can expect three-day working weeks and underwater cities within the next century, according to a new report from Samsung, led by a team of futurists and academics in the UK. 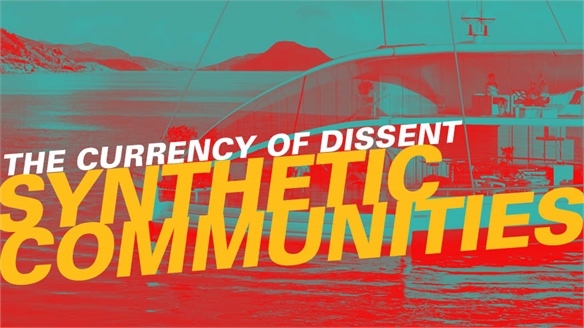 New Collectives New Collectives As consumers prioritise more fluid ways of living, new collectives that promote human connection and serendipitous encounters are coming to the fore – from hacker houses and co-living communities, to collective retreats and co-creation platforms. 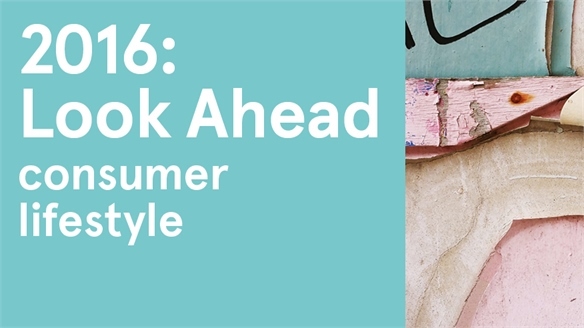 2016: Look Ahead - Consumer Lifestyle 2016: Consumer Lifestyle Our core consumer conversations this year redefined how we perceive luxury, health and even ourselves, particularly as technologies that turbocharge our wellbeing and our senses inch into our lives. Those conversations – steered by some of the world's top academics, market research heads and industry experts – identified new status symbols (wealthbeing), tribes (China's wired women) and much more. In 2016, we'll be bringing together off-piste insights to create an index of consumer attitudes that unlocks serious commercial opportunities, captured across both our reporting and a new series of thought-provoking infographics. 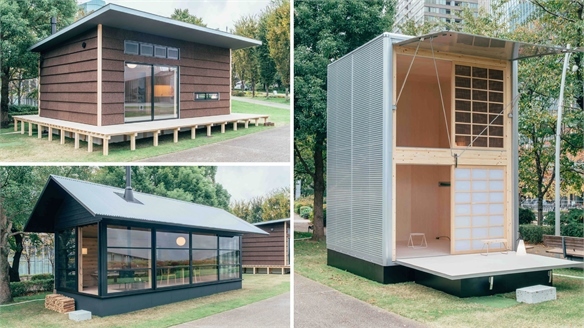 Tokyo Design Week 2015: Prefab Homes by Muji Prefab Homes by Muji A new range of prefabricated cabins by Japanese brand Muji provide rural havens away from the busy pace of city life. 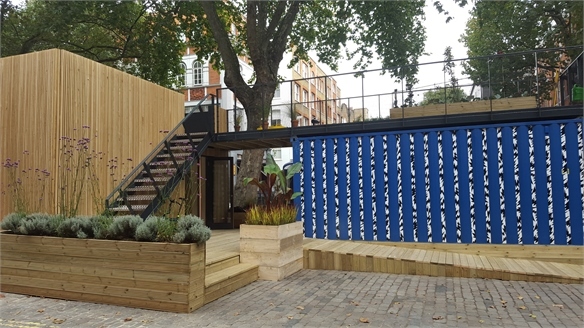 LDF 2015: Lifestyle Trends LDF 2015: Lifestyle Trends Once again, London Design Festival played host to a roster of fresh designs and curated exhibitions across the full range of product categories. Reducing technology's influence on our daily lives was a key theme this year, while we also noted designers seeking to tackle the uncertain future of our planet. 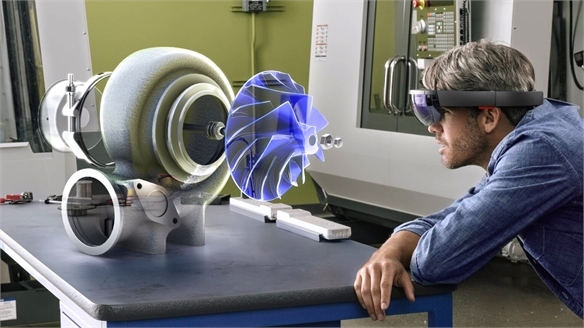 Working Smarter Working Smarter A rise in flexible working, coupled with millennials' desire for a greater work-life balance, is driving demand for new technologies – from virtual-reality headsets to stress-sensing wearables – that will transform the future of work. 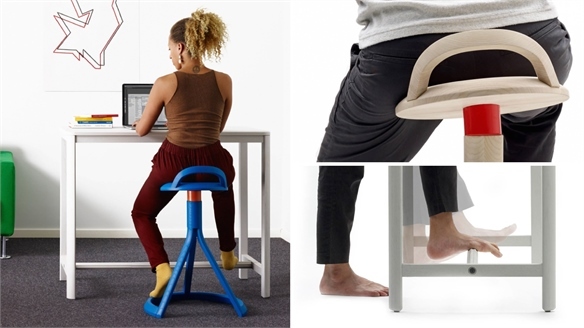 Furniture for Wellbeing in the Workplace Wellbeing in the Workplace Poland-based Ecal graduate Katarzyna Kempa has designed a stool and desk that promote healthier habits for office workers by providing an active working environment that refreshes how people conventionally sit. 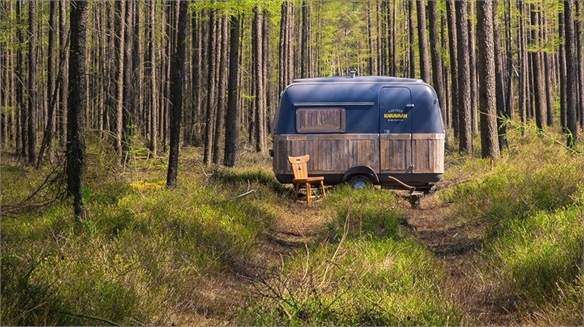 Off-Grid Offices Off-Grid Offices Dutch start-up KantoorKaravaan has started offering mobile office spaces for digital nomads to work in the middle of nature. Breakout: In-flight Workspace Breakout: In-flight Workspace A new airline seating concept provides a flexible cubicle that enables executive travellers to comfortably shift between work, rest and relaxation. 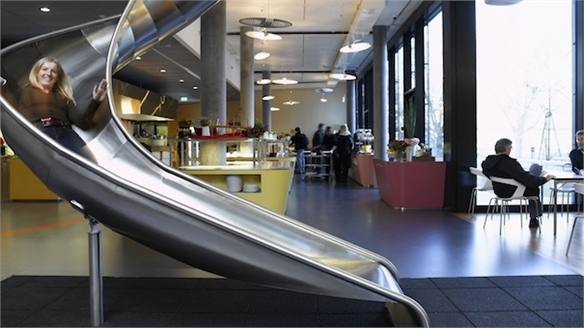 The Workplace of 2040 The Workplace of 2040 In 2040, workers will be "workplace consumers" who are totally in control of where, how and when they work, according to Smart Workplace 2040 – a new report by tech multinational Johnson Controls. Google: Innovation Culture Google: Innovation Culture Hiring the right people, embracing experimentation and encouraging creativity at all levels is the secret to Google's famous culture of innovation. 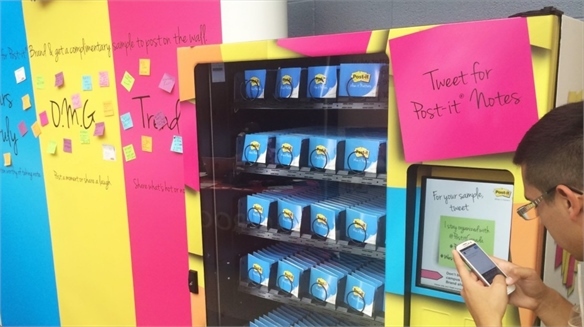 Enjoy: Flexible Retail Workers Enjoy: Flexible Retail Workers Enjoy is the "world's first personal commerce platform", launched last week in the US by Apple's former head of retail, Ron Johnson. The start-up aims to reinvent the way people buy technology online by combining personal service with the convenience of e-commerce. 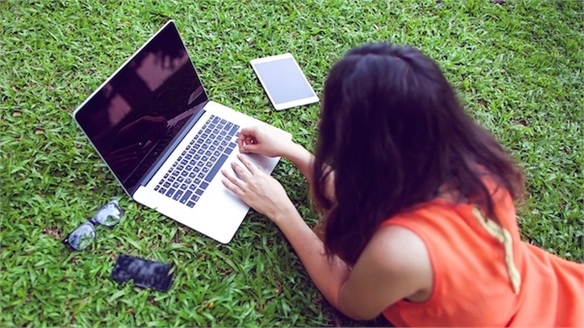 Digital Nomads Digital Nomads Demand for co-working communities, luxury hostels and ultra-portable products is spiking as growing numbers of young workers swap the nine-to-five lifestyle for a nomadic freelance career. 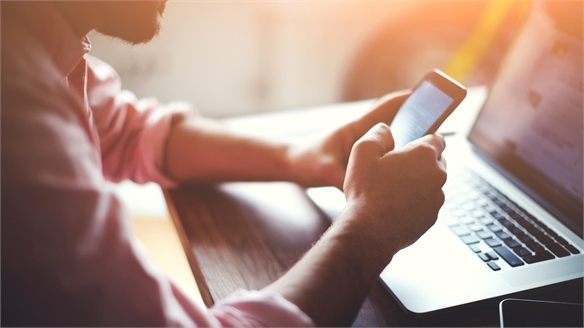 What Millennial Workers Want What Millennial Workers Want Millennials value work-life balance and family time, and are optimistic about their future, according to a new report published by Universum, the global employer branding consultancy. Re.Work Future Cities Summit 2014 Re.Work Future Cities Summit 2014 Technologists, academics and business leaders explored how emerging technologies – from biomimetic lighting to ultra-light pocket drones – will shape our urban environments at the Re.Work Future Cities Summit in London. 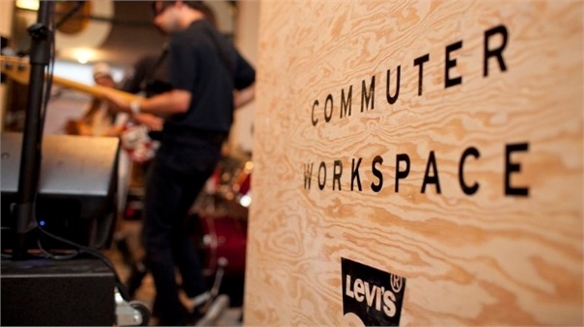 Levi’s Commuter Workspace Levi’s Commuter Workspace US clothing retailer Levi’s has opened a pop-up commuter workspace in the hip New York district of Brooklyn to celebrate the launch of its new cycling apparel line, the self-dubbed ‘Commuter Collection’. 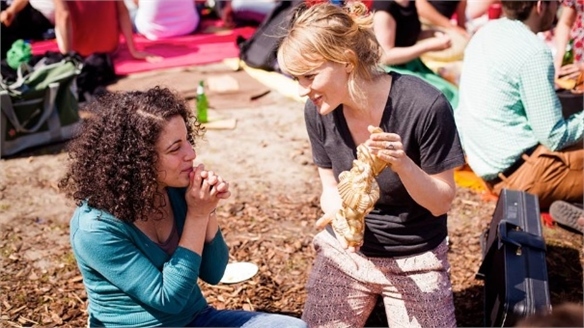 Reimagining Cities: Sharing Apps Reimagining Cities: Sharing Apps Peerby is a new local-lending app that enables users to share everyday household items – such as a tent or tennis racket – in an attempt to create "sharing cities". 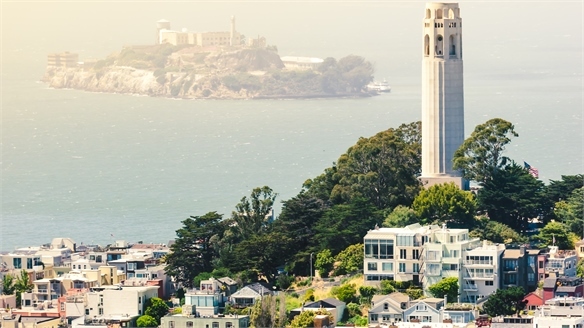 The app, developed by a Dutch start-up of the same name, won the $5,000 award for best urban app at the 2014 New Cities Summit held last month in Texas, US. 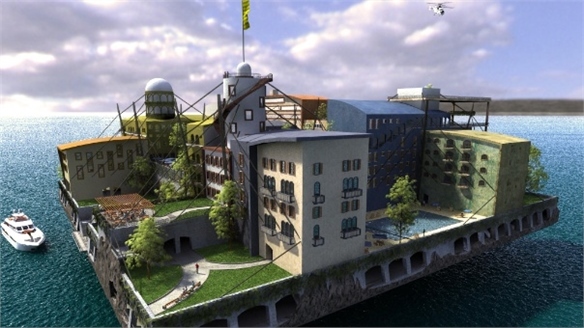 Future Communities: Seasteading Future Communities: Seasteading A US-based organisation has said it wants to help create floating communities at sea with "start-up governments" that are not afraid to try new ideas. The Seasteading Institute claims these self-sufficient communities are vital for enabling social and political experiments. Public Space in the Cities of Tomorrow Future Cities: Public Spaces Architects, politicians and academics gathered last week to discuss the future of urban design at the Cities for Tomorrow conference in the US. 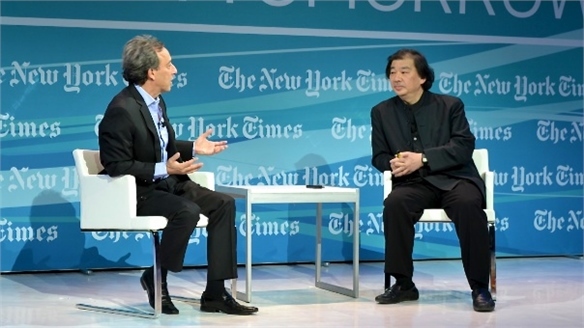 Run by American newspaper the New York Times, the event focused on creating and improving public spaces.